PAS: Please bring us up to date on the storytelling experiences you have created and what you have learned. RS: We recognize that both virtual and augmented reality are fairly new within our industry. But that’s what really motivates and inspires us to take that extra step to experiment and try something new. An example is the 321 LAUNCH app, our first AR app. 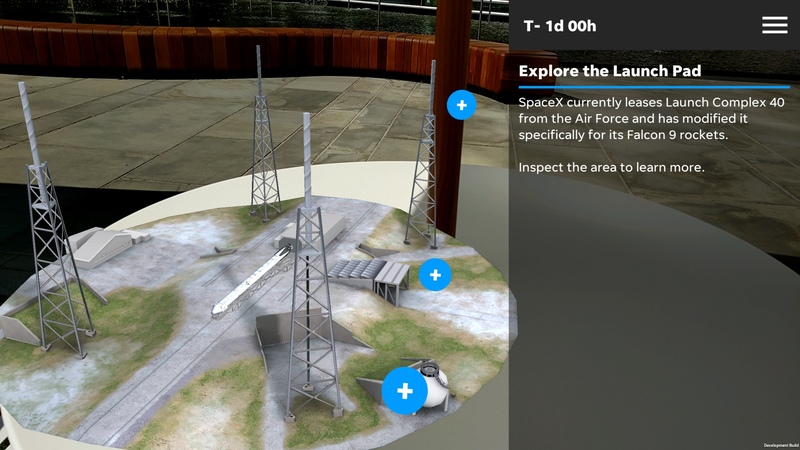 It gives users a close-up live view of real launches and landings, allowing them to build and launch their own Falcon 9 rocket within the app—an experience enhanced with access to live video and real-time updates. The aim was to combine immersive storytelling with a live launch AR broadcast, paving the way for users to engage with content in new ways. Metrics show strong retention rates and long session times, even on non-launch days. Overall, we have seen engagement times of around 3.5 minutes, and we observed that user engagement for our live launch broadcast spiked up to around 8 minutes. Right now, we hovering at around 3.5 minutes on non-launch days and about 5 minutes on launch days. We learned a lot from the app about how to reach and engage audiences. We also learned a lot about the development cycle and the UX. The experience of creating the app—and seeing how users wanted to be in control of their experience—helped us to focus on building the foundation that would support all our augmented reality experiences moving forward. We saw that there was deep engagement with AR through interactivity, and what we didn’t want to do was leverage existing APIs that would limit us in the types of stories we could tell. RS: You’re right. So, we ended up leveraging the GUI game engine, and that is essentially the foundation of our AR platform. Unity provided us that foundation, where we can leverage AR kit and AR core. But we also built on top of that to incorporate the functionality we envisioned we would need for our storytelling experiences. So what we have created is a series of editorial templates, that include design templates and animations, allowing us to quickly support interactive storytelling through AR. A good example is the augmented reality Hurricane Florence tracker. At first, it was a challenge that I presented to my team, which is made up of former video game developers with experience working with companies including Electronic Arts and NC Soft, to turn this AR experience around quickly. And we did this. By drawing from our game design experience and working closely with our product development, mobile dev team, and the editorial team, we leveraged our template to create the tracker—which we were able to ramp up, turn around and publish within 24 hours. PAS: In the case of the hurricane tracker, you harnessed AR to bring breaking news to life. But to go mainstream AR will need to enhance content and experiences that are a little more downtempo. Do you have an example where AR adds a layer of storytelling, not just effect? RS: A great example is our AR experience for The City, an investigative storytelling podcast where we developed the augmented reality trailer. The podcast is already a powerful story paired with an immersive audio experience—but it was missing an equally powerful visual. We recognized that, through our AR platform, we could create an experience that would allow you to explore the community that is the focus of the podcast and “tease” users to engage with the powerful story that was being told within the podcast. In this scenario, AR gives the audience a sense of place. Clearly, it was a different type of story to tell and a different goal from launching a Falcon 9 rocket. However, we found we could just leverage what we’d learned from earlier projects and that was a plus. It was exciting to think no one had ever done this before—and we did. And through this, we recognized there is a real opportunity to fill in some of the gaps in content, such as audio, with AR and adapt what we create based on the story we’re trying to tell. PAS: It’s exciting to push the envelope, but you also need to know where to draw the line. 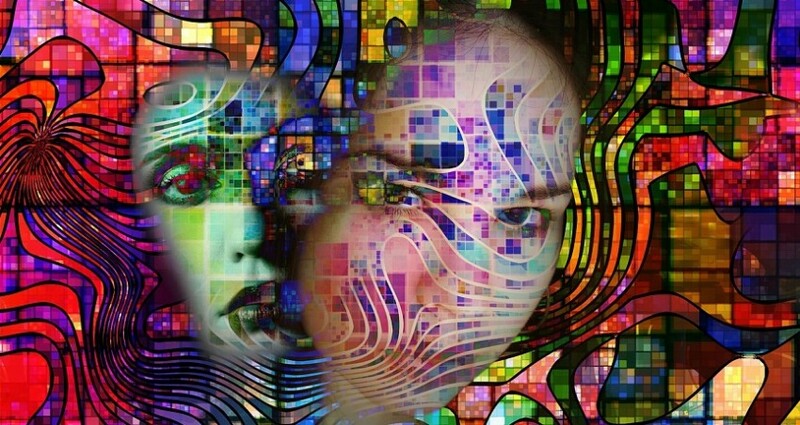 How do you decide if AR is a match with the storytelling in the first place? It can be a tough one to call. 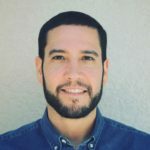 So, we start by drawing from our experience and our understanding of the unique opportunities that emerging tech can provide and support when it comes to creating a very strong interactive story. The story comes first. Before we commit resources or time to develop an augmented reality experience, we work very closely with the editorial team to define what the story should be and how augmented reality can drive value to the story we’re trying to tell. It’s very much a collaborative process. There have been times when we’ve gone down a path of exploration and determined that the particular story might actually be best suited to being told with the support of an interactive graphic on the web or a video experience. We’re at the point now where we’re able to produce an offline prototype quickly to really understand how we can tell the story in a new way that the audience can engage with again and again. The goal for an AR project can never be to create a one-time gimmick that folks will see and walk away from saying, “oh hey, that was neat.” The goal—and this is our goal—has to be to give audiences the feeling they have gained something from the experience or learned something. You don’t want the technology to overshadow the story because it comes down to the story first. We understand this because our team has had years of experience, not just with game design but in VR and more recently AR. PAS: Your team is made up of talent from video games companies, which you’ve pointed out is a plus. What talent mix should publishers assemble and orchestrate if they are serious about creating AR experiences? RS: We’re fortunate to have a team that is made up of former game developers, but I don’t think it’s a team that has to made up of game developers exclusively. Yes, it definitely makes it much easier to create AR experiences and ramp up a team to support AR and VR. But it’s not the only way. Publishers also need to bring together people who have a passion for the work and a desire to explore what’s possible. It’s through passion that companies can build a team able to go outside of their comfort zone. Passion guides you and helps you find ways to tell a story that hasn’t been done before. So, game development is helpful, but it’s not required for interactive storytelling. PAS: So, what is required? What is the checklist publishers should have top of mind? RS: Start by thinking through how you can create a narrative arc. As I said before, it’s not about gimmick. It’s about trying to do things differently and avoid getting too comfortable with how you have told stories in the past. Even if you have a template to build a story, you don’t want it to be the same every time. The aim is to encourage people to engage and come back. We want audiences to recognize that USA Today is telling interactive stories in a new way with AR, and that means pushing the boundaries through seeing the opportunities and exploring approaches. It’s also important to identify the gaps within the story. This is where AR platforms can enhance that story. Again, a great example is the City podcast where we could improve an immersive audio experience with AR. It still just boggles my mind that we even considered it in the first place and I’m proud of the results. We recognized that it was a strong story that we could do differently. That’s the mindset you have to have for every project: try to do something that’s different but do it by creating a narrative arc that engages your audience and helps them coming back. Everyone has a unique opportunity to define their path, but don’t only focus on the visual experience. You have to think about scalability and accessibility. You don’t want to exclude users who are impaired in any way –and this is why we have incorporated subtitles within our USA Today app. We want everyone to be engaged with the experience and able to make it what they want. PAS: Brands are also focused on engaging users with brand storytelling and experiential content. Is there a place for brands in your future plans? RS: We’re looking for opportunities to work on branded content. That conversation started because we observed such high engagement and retention rates. These metrics tell us there’s an opportunity—through AR—to create a personal connection. We’re poised to tell our stories in new ways, and we see ways brands can build on the growing excitement around augmented reality to engage with their existing audiences and acquire new ones. USA TODAY recently named Maribel Perez Wadsworth as its publisher, the second woman to hold the title. Wadsworth, a Cuban-American, is the first person of color to serve as publisher. She adds this title to her current role as President of USA TODAY NETWORK, which she has held since November 2017. Maribel oversees the company’s consumer business. She formerly served as the company’s Chief Transformation Officer (2016) and Chief Strategy Officer (2015). Here she discusses her new role, her strategy for growth and innovation at USA TODAY, and the biggest threat to the success of our industry. How will your new role allow you to better lead the media brands at Gannett? MPW: I’m excited to lead USA TODAY as publisher, cementing the important relationship that exists between our flagship national brand and our 109 local news brands. As president of the USA TODAY Network, I’m responsible for content, strategy and operations for all our media brands. This allows us to truly take a holistic approach to how we best serve our audiences and our communities. It also enables us to identify and scale new ideas and best practices. In addition, as we continue to expand our portfolio of niche brands, such as our recent majority investment in Grateful Ventures, we are well-positioned to comprehensively serve the news and information needs of our audiences with high quality content and experiences. MPW: I’m proud of the team we are building at USA TODAY. First, because we have such a strong base of talent to start. My first move was to name Nicole Carroll as editor in chief. Nicole is an ideal partner — an exceptionally talented, award-winning journalist and a highly competitive individual with great ambition for our journalism. We’ve also just added Jeff Taylor, formerly VP of News at the Indianapolis Star, as Executive Editor. And we’re realigning and adding resources around two key areas — investigative and enterprise coverage and digital storytelling. So, you’ll be seeing those teams expand and our hiring focus will be there. But in a nutshell, what I’m looking for in talent is people of diverse backgrounds with an inherent passion for doing good and winning at it. Skills can be taught or bought. The culture we’re building, that’s what’s special. MPW: We have to be focused on relevance, distinction and quality. That means we have to deeply understand who we serve — what do they need, what are they interested in, what do they most deeply care about. It means we have to be keenly attuned to who we are — what are our strengths, what do we do better than anybody else. And it means we have to make choices. If we are to consistently deliver on the excellence our customers deserve, we must choose where to focus and prioritize so we can truly do fewer things better. What are the most important investments that news media organizations need to make to continue to meet the needs of today’s readers? MPW: Our most important investment is in our people. We must ensure we are hiring great journalists and supporting their development. It is also critically important to build a culture of experimentation to continue to push the boundaries of digital storytelling. At the USA TODAY NETWORK, that experimentation has focused on a few key areas — virtual reality and 360-degree video, including from an expanding drone journalism program; voice and audio more broadly as we more and more develop content for listeners; and augmented reality. 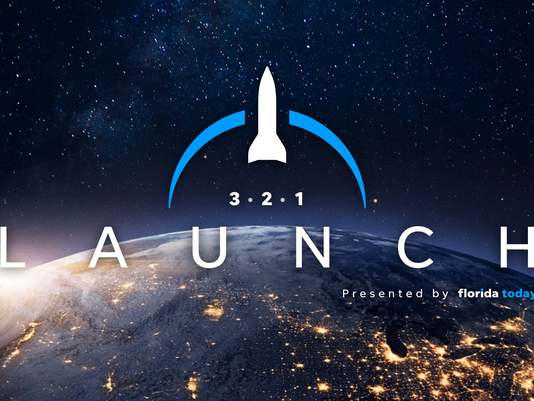 Take a look at our augmented reality app 321 Launch, built in partnership between USA TODAY and Florida Today ‘s expert space coverage. The app allows you to track a live rocket launch in AR from any flat surface as a hologram shows you what the rocket is doing in real-time. There is also a launch simulation you can do any time and learn from our space experts as they guide you through rocket assembly, blast off and re-entry. It’s very cool and I hope you’ll check it out. What is the biggest threat or challenge for the news business today and what advice do you have for publishers seeking to address it? MPW: The biggest challenge our industry faces today comes from the rapid rise of unregulated megaplatforms such as Facebook and Google. And not just from the obvious place of taking digital, especially mobile, advertising spend. These platforms are also in no small way responsible for an assault on truth and trust. Their algorithms naturally optimize their business results but do little to help consumers discern between quality, premium journalism, and fake content from questionable sources. In our business, we must focus on being customer-led not platform-driven. Our business cannot be dependent on the whims of a third-party platform’s strategy. As many have seen, chasing the algorithm can lead to dramatically inconsistent and potentially perilous results. Instead, our focus must be on building a strong, direct relationship with our audiences and that starts with quality and trust. A study conducted by International Center for Journalists survey set out to answer a critical question: Are journalists keeping pace with the digital revolution? Despite making strides in leveraging new technologies, the study concluded that the answer is no. The State of Technology in Global Newsrooms takes a deep look at the adoption of digital technologies at a wide range of news media organizations worldwide. Working with Georgetown University, the International Center for Journalists conducted the study in 12 languages, and received more than 2,700 responses from journalists and newsroom managers in 130 countries. Newsrooms still face a deep technology gap. Digital journalism has made some substantial gains. In an era when fake news and hacking have proliferated, too few journalists are taking the proper precautions. While most newsrooms find it challenging to gain trust with their audiences, there are two major exceptions. New revenue models are emerging, but not fast enough. Newsrooms have yet to fully embrace analytics data to make decisions. Journalism is a young person’s profession. The digital training journalists want is not what their newsrooms think they need. Traditional news organizations, which disseminate information primarily in the legacy formats of newspaper, television, print magazines, and radio. Though these organizations may have a website or some digital presence, their primary platform is a traditional format. Digital-only news organizations that exclusively publish in an online format. Hybrid news organizations, which use a combination of traditional and digital formats. Many hybrid organizations have transitioned from being traditional news outlets. The report finds that digital-only and hybrid newsrooms are outpacing traditional media in most of the world. In fact, according to the ICFJ, news organizations that disseminate content primarily in traditional print, television, and radio formats are disappearing from the global media landscape. Overall, the majority of journalists surveyed work for news organizations that are either fully digital (33%) or a hybrid of traditional and online (40%). About one-quarter are employed by traditional news organizations. Today’s newsrooms have access to a multitude of new platforms and formats — from social media to mobile apps to virtual reality, which they use to distribute their stories and reach wider audiences. Though the range of tools has expanded, the news industry relies heavily on the two social media giants: Facebook and Twitter. Though digital-only and hybrid newsrooms are more likely to use Facebook, traditional organizations (which use digital but not as a primary distribution format) are not very far behind. Three-quarters of traditional newsrooms reported using the social media site to push out content, compared to 93% of digital-only and 91% of hybrid. Hybrid organizations are the most likely to cut their newsroom staffs, with 41% reporting that their staff size has decreased in the past year. Traditional newsrooms are a close second, at 38%. Digital-only newsrooms are at the opposite end of the spectrum, with only 17% reporting that their staff size has decreased, compared to the 50% that reported adding more staff members. Digital-only newsrooms are also more likely to have older personnel – in the 51-55 age group – than both their traditional and hybrid counterparts. 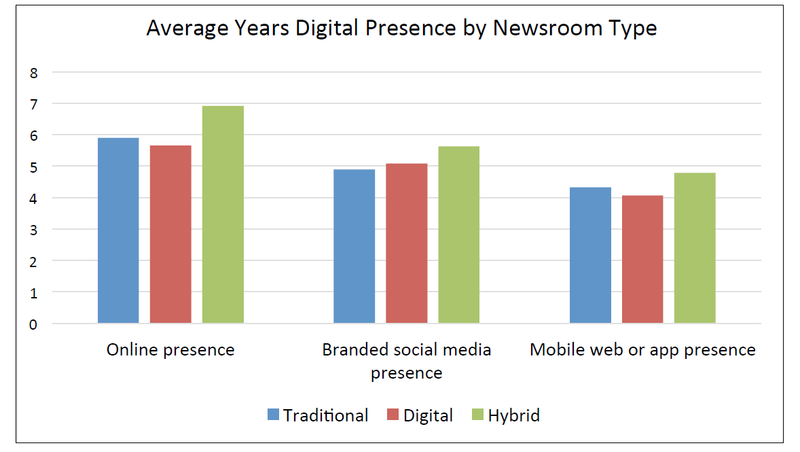 Traditional newsrooms also have a higher percentage of staff in the 25-29 age group than hybrid ones, following digital-only newsrooms in this category. 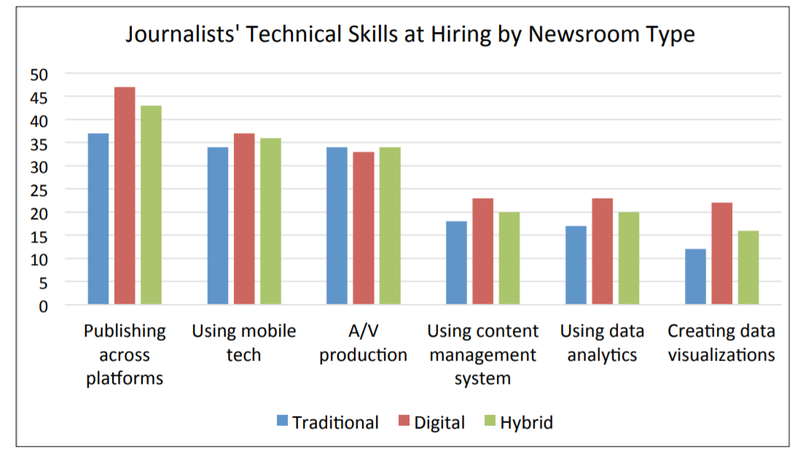 Hybrid and digital-only newsrooms are more likely than traditional newsrooms to have digital content producers/editors and tech professionals on staff, though the number of these positions remains small compared to established roles. The study shows that many journalists are hired into their positions without experience working in digital media or significant digital skills. While on-the-job-training remains an essential tactic for staff-strapped media newsrooms. However, news professionals almost universally agree that training is important to help them meet the demands of their job. As the report points out, the digital era is forcing newsrooms to adapt to a constantly evolving space. They face an array of major challenges, including shifting revenue models, attracting loyal advertisers, engaging audiences, and developing new storytelling formats. While journalists (and the media organizations they work for) continue to experiment with a range of digital tools, the report makes it clear that continued investment, innovation, and development of the digital skillset is required. As part of its annual show October 31-November 2, Folio hosted a one day C-Summit. The invitation-only event focused on top strategic imperatives for magazine media organizations. 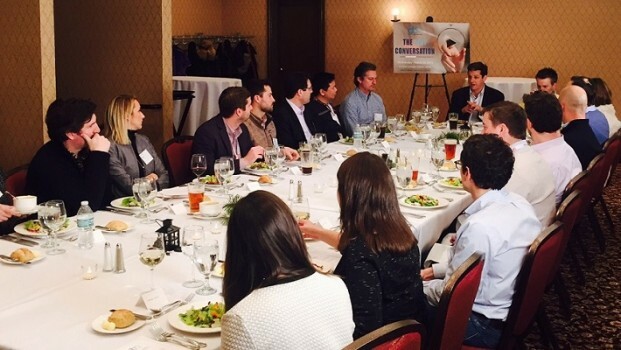 Led by Hanley Wood CEO Peter Goldstone, the day provided an intimate conversation between panelists and attendees. 1. People matter (a lot): Many of the day’s speakers expressed that competitive recruiting and managing millennials to their fullest potential are significant challenges. Across the board, it was apparent that these leaders feel that having the right people to drive the organization from both strategic and tactical levels is a top priority. 2. Advertising is data and context driven: Digital advertising is increasingly driven by data—particularly in the B2B space, which is focused on lead-generation. However, context matters as does bigger-picture understanding of what the advertiser’s objectives are and how to creatively accomplish those goals. —Jim Elliot, President James C. Elliot Co. Inc.
—Mark Rothschild, SVP, Meredith Digital. 3. You’ve got to put your money where your progress is. Despite a seemingly endless desire to innovate, the reality is that resources are finite and making smart decisions about what to fuel and what to fold is critical. Vox Media’s Erin Bakst, Head of People Operations, explains what her job title actually means, questions if office spaces need nap nooks and indoor slides, and reminds job hunters to never underestimate the cover letter. What does the Head of People Operations do? Erin Bakst: Basically here at Vox Media that’s the head of talent position — so all of what you’d traditionally call Human Resources and Recruiting rolls into me. Although we’ve never had a Recruiting team at Vox Media so I’m in the process of building a Talent Acquisition function. My team consists of Business Partners, a Programs & Diversity Manager, Total Rewards (AKA Comp & Benefits) and soon Talent Acquisition. Since we’re pretty lean, I also serve as the Business Partner for our Corporate team which means I support Accounting & Finance, MarComms, Legal and People & Culture from a strategic talent consulting perspective. I should note that this is all new to us. I started back in November of 2015 and have been building a lot of the framework of HR. As a company, we grew really quickly and in a few instances without some of the processes and programs that you’d normally have for a company of our size. So we’ve recently scaled People Ops to better support the business. As you work across all of these different, quickly growing teams, is there a common thread you see across them? Something that would help you tell a stranger on the street what Vox Media’s company culture looks like? Bakst: There are a couple of things that I’d say about Vox Media culture. One is that we’re always changing. That’s not necessarily unique to us because we’re a media company and because we’re a high-growth company. But the other is that we have an amazing commitment to diversity and inclusion that I really haven’t seen anywhere else that I’ve worked. That sounds cliche and I’m not saying we’re perfect at it because we have a long way to go. But the commitment to it is embedded in our culture at all levels, including (and especially) with Jim Bankoff. It’s one of the things I love about running People Ops. I’d add, too, that the constant change brings about a ton of innovation, which makes this a really exciting place to work. I was just working with our VP of Growth and Analytics on a workshop for the NABJ/NAHJ convention on Monday and we’re focusing it on storytelling across multiple platforms. It just blows me away how our talent can tell stories in ways that really resonate with our audience on things like Snapchat, Facebook Live, and YouTube. I agree. It’s fun to sit amid teams creating such different and interesting things. I just walked by Racked as they filmed a piece on beauty products and am now eyeing a bouquet of rose-shaped-bacon that was shipped to Eater. Bakst: OMG I love going to New York and sitting on the 10th floor with Eater! They get the best food! Also, Racked has an entire case of nail polish that I want to raid. This place has some great perks. Bakst: Truth! It’s fun to get to participate in the creative process here even if you’re not on a content creation team. A couple of months ago I was in New York and Kat Odell was doing a taste-testing for her Drinks column. I got to participate which was really fun. And it was so informal but awesome. I’d really like to hear more about that — not bacon roses — but keeping employees happy in their physical space. I’ve seen wildly inventive work spaces — nap nooks and fire pits and slides. What is really needed to keep employees happy and productive in the office? Bakst: Honestly, now that I’ve worked in three different start-ups, I think it depends on the employees. But what I think is true for Vox Media is that they need space to be creative. It doesn’t have to be a slide (and I seriously hope that’s never suggested because I’ll have agita about workers comp claims), it just has to be the right place. For a few of our employees, that’s the communal dining table where they eat their cereal at 8 AM and chat about the articles they’re working on. For some, it’s the comfy couch nook we just put in upstairs. Others like to be standing up jamming to music and in the zone. And many opt to WFH because it fits their lifestyle and they can do their work well from there. Sometimes I see the crazy office stuff other start-ups do and I think it’s a waste, but ultimately if that’s what makes their employees happy and productive, that’s what they need to do. I just don’t think ours need that. They need to be comfortable and inspired. And of course they need the right resources. We’ve been investing even more in podcasting and video studios lately which is super cool. And our content reflects that. Right, the flexibility to work in the way that best suits you is really a luxury. And, for me, that will never be mid-slide. Now, I can’t let you go without discussing hiring. Bakst: Yes! Hiring is one of my favorite topics these days! We’re hiring across so many departments, with some openings for completely new roles (an American Ninja Warrior expert just joined us) and some for people who are new to the work force. How can someone with little real-world experience — maybe they’ve just graduated or are in school — demonstrate that they can take on a new role? Bakst: That’s a somewhat difficult question to answer because every hiring manager has different preferences. I do, however, have some advice that I think can be generally applied. First, we’re great at telling stories and creating beautiful content, so candidates should do that in their applications. I don’t want to see a resume that looks like a job description — I want to see what they have accomplished that can translate into the role. If a candidate has only one year of work experience, I want to see that they made the most of that year and grew a ton. Send links to your work. Send examples of stuff you’ve done. That’s going to tell the story of YOU so we get a better idea of how you’d be working here at Vox Media. Second, I think people really underestimate the power of a cover letter. It is absolutely true that some people don’t read them. But when an application asks for it, do it and make it good. That’s where you get to show how excited you are about Vox Media. Do you read SB Nation religiously? Tell me about it! Do you plan your vacations around Eater’s 38 (like I do)? Tell me. We want to see not just that you want the job, but that you’re excited about this company. We have a ton of passionate people here and it’s made us pretty freaking awesome, so we want MORE passionate people. That can actually really set someone apart and help them demonstrate that they’re a great fit. We like passion and enthusiasm. That’s really great advice. It’s always clear when an application isn’t specifically meant for one company or one position. What is the tool or product that makes your work life better? Bakst: Evernote! I take so many notes and that allows me to document and search everything. I LOVE it and try to convert everyone to using it. Notebooks don’t work for me. What have you recently read or watched or listened to that you immediately shared with a friend or just thought: wow. Bakst: The Ezra Klein Show — it’s Ezra’s podcast and I’m addicted. I listen to it every day on my walk to work and have turned a few friends on to it. Lastly, we’re Slacking. Can you let us peek into your world by sharing your frequently used emojis? Erin Bakst (@EWilsonHR) is Vox Media’s Head of People Operations. She has worked across Talent functions for a decade in the areas of Program Management, International HR, Executive Education, Recruiting, and Talent Engagement. She is based in DC. As busy media executives we often find ourselves heads down, getting the work done and facing each new challenge as it arises. But to really get somewhere, we need to save some time to think about what’s next and to find places and people that encourage that future focus. On March 26th, DCN hosted The Next Conversation dinner – an event inside the Digiday Publishers Summit in Vail, CO.
Co-hosted by Digiday Editor-in-Chief Brian Morrissey and DCN CEO Jason Kint, the intimate dinner discussion included a mix of some of the most forward-thinking minds in the digital media industry – each of whom was hand-picked to attend this first-time DCN event. The talk ranged from finding and cultivating talent to how we create a sustainable future for this business that we love, even as we realize that it will look very different than it does today. Our first segment in this three-part series covers culture and talent with dinner guests advising to look for smart people you like, who fit your brand and who have diverse experience. It took several generations for the telegraph operator to morph into the IT manager. Similar role, different skill set (Morse code just isn’t as in demand these days). But in the last few years the pace of innovation has accelerated, completely changing how we use–and therefore how we staff–communications media. New media channels have proliferated so thick and fast that it’s happened without the corresponding phasing out of the old. We live in a continually expanding universe of digital and print, terrestrial radio and live stream, texting and email, TV and YouTube. It’s not one or the other. Our consumption of all media keeps going up, as measured in a USC Marshall School of Business report. In 2008, Americans talked, viewed and listened to media, excluding the workplace, an average of 11 hours per person per day. By 2012, consumption had grown another 5% to 13.6 hours per person per day. By 2015, it is projected Americans will consume media for an average 15.5 hours per person per day, again not counting workplace time! “One can actually have more than 24 hours in a media day,” explains the report, referring to the growth of simultaneous media streaming and multi-tasking. The non-stop nature of our media spigot is all around us – how many pedestrians did you see so far today staring at their iPhones while crossing the street? The result has upended the hierarchy of communications channels. Emails (unread about 80% of the time) have become the new junk mail, while Direct Mail is now less cluttered and more effective. People are getting more of their news from Facebook, while also tuning into the local TV news. We’re watching and reading more regardless of media. All those extra hours of media we’re consuming have spurred an enormous appetite for “content.” In large companies, the role of marketing has been shifting from pushing out ephemeral messages to generating content in more lasting formats to fill space on the internet – blogs, videos, native advertising features, online polls, etc. The effects have drastically shifted how marketing departments are staffed. Every day there are thousands more “content management” positions to fill. Not too long ago, nobody went to school to get a degree in “creating content” (although I do recall something about poetry, painting, journalism and film-making). Now a Google search for “college degree in content creation” gets 5.1 million results. Organizations of all sorts are jumping in to the business of content creation. The vast majority of B2B marketers – 92% – are engaged in some kind of content marketing, and the output keeps rising, with 70% producing more content this year than last. But most are unclear what it adds up to, as only 21% are successful at measuring ROI from their efforts. We’re only half-way there. This points to a common skills gap in marketing departments. 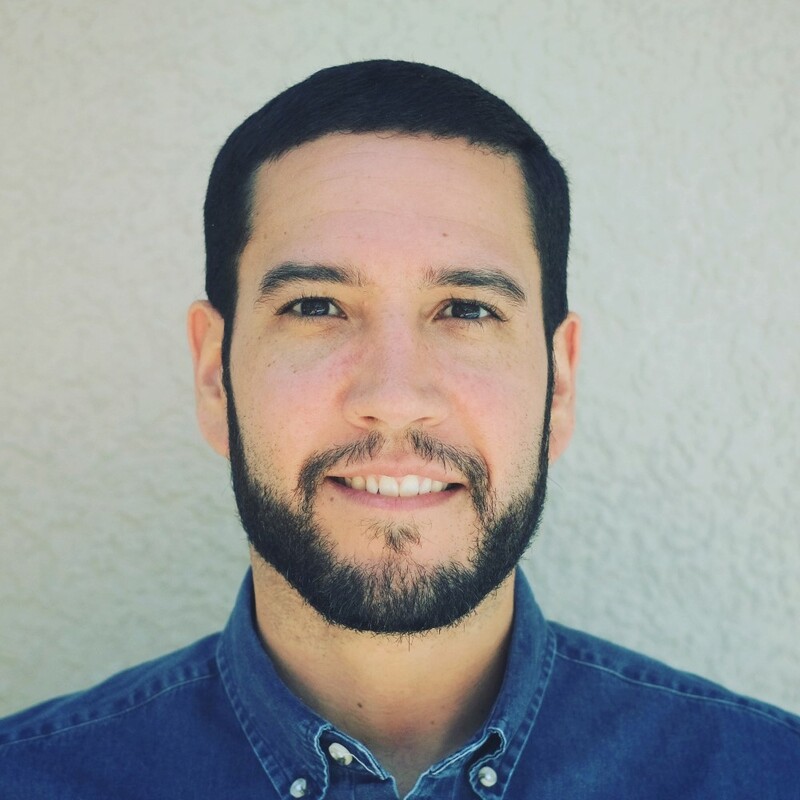 Jason DeMers in Forbes Magazine has predicted it won’t be long before the top job in marketing will be Director of Content. Exactly how long that takes will depend on how intelligently organizations measure the impact of their content marketing efforts today.